HCM CITY (VNS) — The annual Viet Nam International Fashion Fair is running in HCM City's Tan Binh Exhibition and Convention Centre. The five-day fair was organised by the Viet Nam National Textile & Garment Group and Viet Nam Textile & Apparel Association in co-operation with the Viet Nam Leather & Footwear Association. The organisers hope the fair will help local garment companies develop new partnerships and promote sales at home and abroad. The event has attracted 100 Vietnamese garment companies with 200 stalls presenting their latest garments, footwear and accessories. Leading garment makers have presented high-quality products at seven fashion shows. 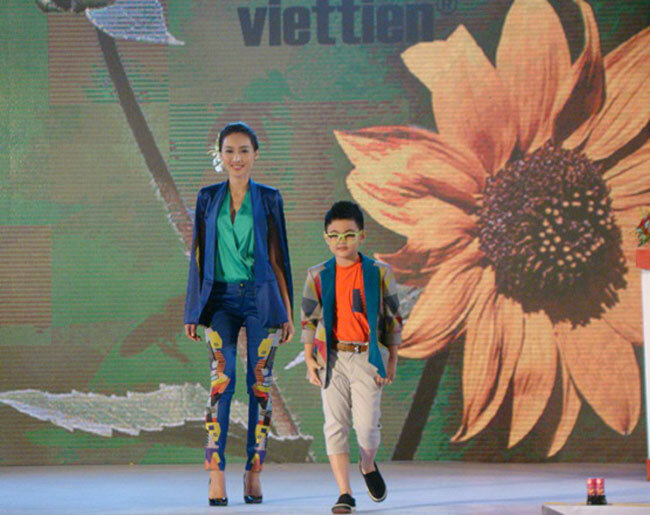 The opening day saw the latest casual wear collections made of cotton, chiffon and wool for Viet Tien brands VIETTIEN KIDs and T-UP for women. The Garment Company No 28 showed its luxury brand Belluni collection at the nightly show on the catwalk. It offers suits for businessmen made of natural fabrics like cotton, cottonspun and bamboo/silk. Other collections from Nguyen Dung, Phong Phu, Len Ha Noi and Tokuni will be shown on following days. They will showcase pyjamas and casual clothes, using the latest materials, techniques and design technologies.